The All India Bank Employees Union (AIBEA) has decided to write to the government and the Reserve Bank of India (RBI) against a consortium of lenders, led by State Bank of India (SBI), over their decision to take control of the cash-strapped Jet Airways and infuse additional money into the beleaguered airline. C H Venkatachalam, general secretary of the All India Bank Employees Association said that the decision was taken at the bank employees union's central committee meet. The union has decided to request the government, Ministry of Finance and the RBI to direct the banks against lending more money to Jet and also not getting involved in managing the airline. Venkatachalam said that the banks should not become the owners of ailing airline. He noted that running the airline was the business of the company and its management. "We totally disagree with such proposals and attempts of banks to purchase the shares of this ailing airline with a view to saving the company at the cost of public money." “It is unwarranted. The bank should recall the loan,” he said, adding that the further course of action would be taken based on the response of the government and the RBI. He underlined that whatever loan the airline had taken from the banks should be repaid. 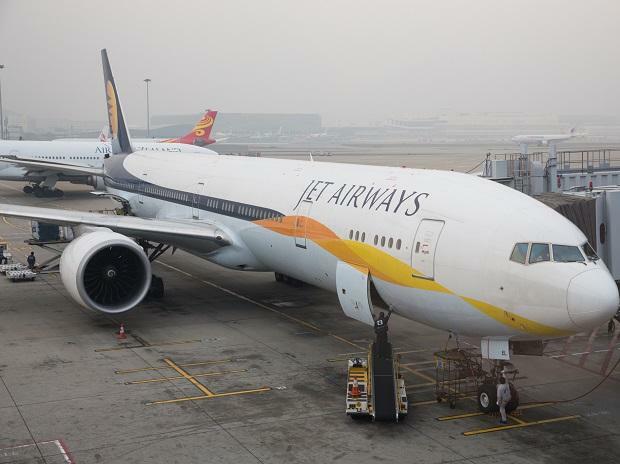 "On the contrary, it is reported that the shares of Jet Airways are sought to be dumped on the shoulders of the banks. Even Ethihad Airlines wants its shares to be purchased by the banks," Venkatachalam said. SBI Chairman Rajnish Kumar was quoted as saying "it's in 'everybody's interest' to keep the airline flying . …… Our aim is that the corporate debtor (Jet) should not be harmed." Venkatachalam asid that the government should review its policy of weakening the public sector. "When Jet Airways was making profits, the profits went into the pockets of owners. When it is in the loss, why should public money and banks' money be spent to save them. We oppose these moves. Banks should do banking business, not run airlines," he noted.